The Memorial Tree Lighting Ceremony will begin at 5:30pm with music and to the delight of all, at 6:00pm, downtown Morganton will light up for the season. 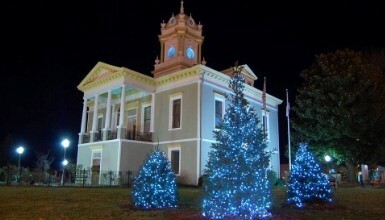 Each year on the Historic Courthouse Lawn in downtown Morganton, a beautiful tree is lit for the holiday season. The lights on the tree represent memories of loved ones who are remembered at this time of year. Stick around after the Memorial Tree Lighting for music, bonfire and hot cocoa. A variety of specialities will occur through 8:00pm including visits from Santa, face painting and los more!